Below you can view all the homes for sale in the Sunridge At Macdonald Ranch subdivision located in Henderson Nevada. Listings in Sunridge At Macdonald Ranch are updated daily from data we receive from the Las Vegas multiple listing service. To learn more about any of these homes or to receive custom notifications when a new property is listed for sale in Sunridge At Macdonald Ranch, give us a call at 702-323-5903. Coveted Location Minutes from Shopping, Highway, Parks & Paths >>>View Photos MLS#2088750. Synergy Sothebys Int'l Realty. Low Maintenance Backyard with Covered Patio MLS#2086928. LIFE Realty. 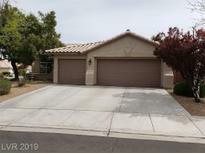 Nice 3 bed w office home, granite counter tops, tile flooring thorough out except bedrooms, covered patio, lap pool, epoxy'd garage floors, fireplace, freshly painted, carpet allowance...move in ready! MLS#2086943. Win Win Real Estate. Move In Ready, A Must See! Great Neighborhood Great Location MLS#2081828. Vegas Capital Realty. Don't miss this great buy MLS#2079578. Win Win Real Estate. 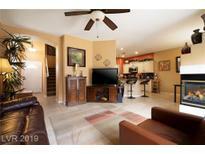 Location is phenomenal, near restaurants, schools, hospitals,etc. MLS#2076794. Vibrant Realty. Pictures do not do justice on this home, this is a stop what you’re doing and walk into the house type of home! !WELCOME HOME! ! MLS#2062910. BHHS Nevada Properties.